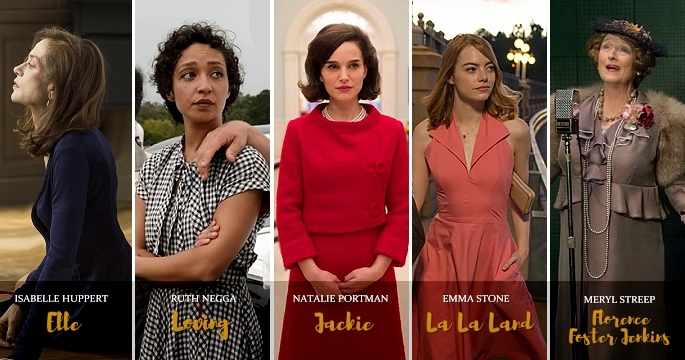 Awards season is starting these days with the first groups of critics and award juries announcing their nominations and winners. 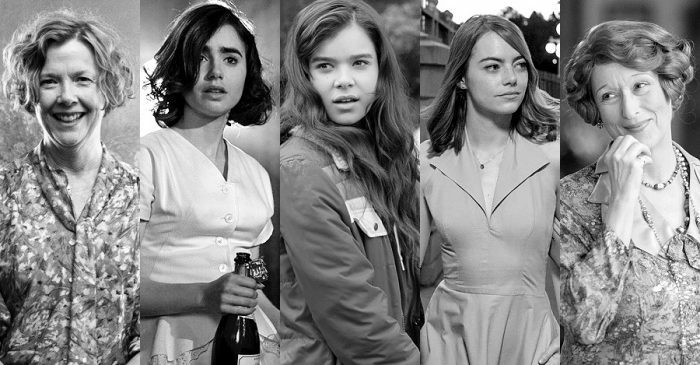 Among the first are the Satellite Awards (who seem to nominate anyone who’s been mentioned a favorite in the awards communities) and the Critics Choice Awards (ditto). 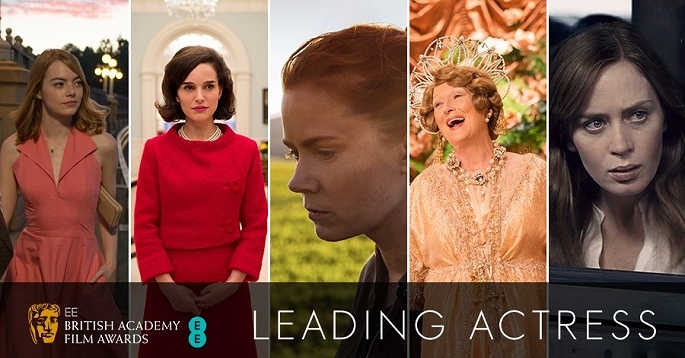 Meryl Streep has received nomination from both organizations for “Florence Foster Jenkins”. 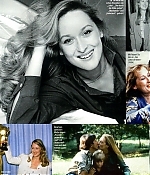 The Satellites have nominated Meryl as Actress in a Motion Picture and Hugh Grant as Best Supporting Actor. 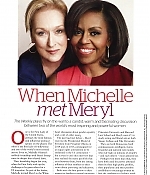 The Critics Choice Awards, which split their acting categories into Best Actress, Best Actress in an Action Movie and Best Actress in a Comedy has nominated Meryl in the latter category, with additional nominations for Hugh Grant (Best Actor in a Comedy) and Consolata Boyle (Best Costume Design). It’ll probably take until December 12’s Golden Globe nominations and the Screen Actors Guild nominations two days later until we find out if Meryl will be a bankable player in the Best Actress field this year. If not, we still have the Globes’ Lifetime Achievement Award to look forward to. Awards season is slowly starting in Hollywood these days, and if you’ve put your money on Meryl Streep, I’m sure you didn’t have this honor in your cards. 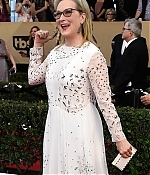 Streep and Jeffrey Kurland (Inception) will both take home trophies at the upcoming Costume Designers Guild Awards. The event, presented by Lacoste, is set to take place Feb. 21 at the Beverly Hilton Hotel in Beverly Hills. Streep has been tapped for the distinguished collaborator award while Kurland, who counts more than 40 credits on his résumé, will be honored with the career achievement award. 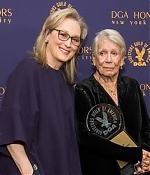 Of Streep and Kurland, CDG president Salvador Perez said, “As leaders of their respective crafts, their work has influenced and entertained us for decades and continues to do so. We are thrilled to be honoring them both this year.” With the distinguished collaborator honor, Streep joins a roster of honorees that includes Quentin Tarantino, Richard Linklater, Helen Mirren, Judd Apatow, Clint Eastwood, Rob Marshall, Jim Burrows and Lorne Michaels. Previous recipients of the career achievement award include Ellen Mirojnick, Julie Weiss, April Ferry, Eduardo Castro, Judianna Makovsky, Colleen Atwood, Sandy Powell and Ann Roth. 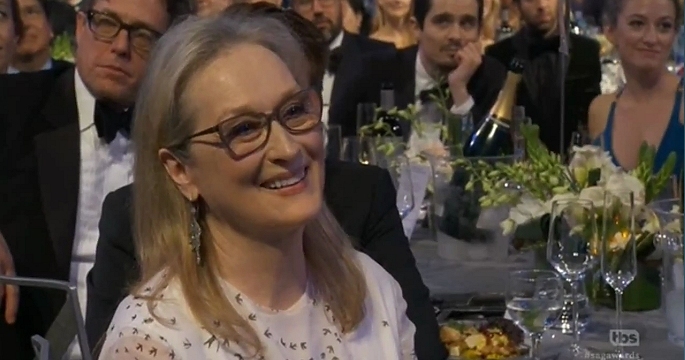 In more predictable news, Meryl has received a nomination as Best Actress at the Satellite Awards. Many thanks to Frank for the heads-up. 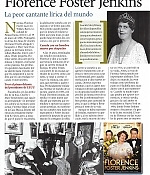 Florence Foster Jenkins is taking another bow. 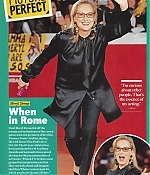 According to the Hollywood Reporter, the Meryl Streep-starrer will return to select AMC theaters Dec. 2. 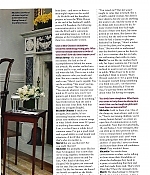 Locations include Chicago, Boston, Dallas, San Francisco, New York and Seattle, among other cities. In its initial run, the Paramount film grossed $27 million. Streep, who will receive the Cecil B. Demille Award at the 2017 Golden Globes, received some awards buzz for her portrayal of the real life heiress who was determined to give a concert at Carnegie Hall despite her subpar vocal skills. The film will be released on DVD on Dec. 13. A new selection of international magazine scans have been added to the photo gallery, coming from Spain, the United States, Australia and Germany. 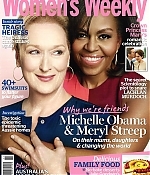 They’re all covering the international releases of “Florence Foster Jenkins”, and the Australian Women’s Weekly has recycled More Magazine’s cover story with Michelle Obama and Meryl, adding a wonderful outtake in the article. As always, many thanks to Alvaro for sending them in. Enjoy.